The Information Committee 2017-2018 was elected at SAIH’s Annual Meeting in April and started working after the summer holiday. But what is it that the information committee is actually doing? And who are they? SAIH’s annual Fall Gathering is getting closer and closer and this means more and more work for the Information Committee and the Executive Committee. 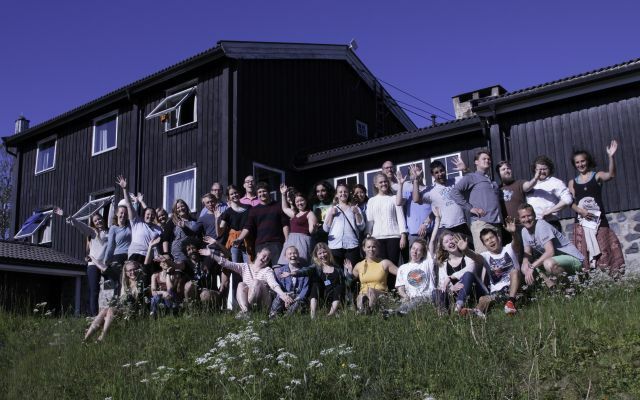 At the fall gathering approximately 80 activists will gather at Strandheim Leirsenter in Nærsnes for a weekend full of trainings, workshops and fun activities. Here they will learn more about the work SAIH is doing both nationally and internationally and get an insight into the campaigns that will be carried out this period. At the gathering we will have a specific focus on the World’s Best News campaign which will take place later in September. The Information Committee is the most comprehensive voluntary position in SAIH, and we work closely with the Executive Committee in performing daily tasks and responsibilities of SAIH. We hang out at the central office a lot, where we socialize and mingle with the important people, and constantly try to stay on top of all the weird stuff we’re asked to do. Such as maintaining contact with SAIH’s member organizations, being minute-takers at board meetings, helping out with National Council meetings, assisting with information and advocacy work, and much more. This also includes organizing national gatherings, and we have been working for a long time with the fall gathering to make a weekend that brings all the local chapters and some of our member organizations and Students at Risk students together. Kaia - Joined SAIH as a local chapter activist in Bergen in February 2016 and is now studying at the University of Oslo doing a master in state science. Kaia is working with the World's Best News campaign 2017, which will be launched on the 21th of September. This is a campaign aimed at promoting positive with a positive twist that focuses on what is really going on in the world and what progress is being made. 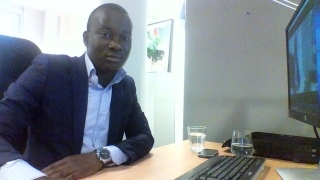 This involves maintaining the webpage, make sure we have articles to publish and to do following up work. 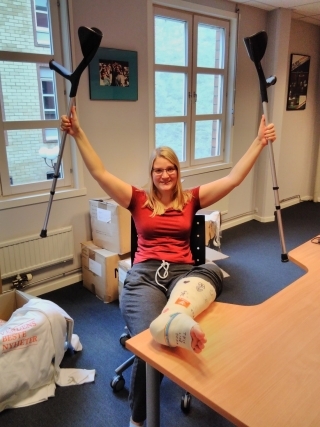 She is easily recognised by her crutches after having operated her leg last week, but that does not stop Kaia, the work must go on and she is looking forwards to jumping around at the Fall Gathering this weekend. Sunniva - Started her engagement in SAIH as an activist in SAIH-Blindern. She is also studying at the University of Oslo, currently trying to understand the Middle East and economics. Now she is the vice-president in the local chapter at Blindern. Sunniva has been a member of the political campaign committee in 2015-2016, which created the “Please prize” to try to get attention to the Saharawi cause and the possibility for peace and justice in Western Sahara. Together with other activists in SAIH, she went to Morocco in January 2016, where they were denied access to Western Sahara. Sunniva is now a part of the Radi-Aid campaign committee, and is making this falls Radi-Aid campaign – which you will learn more about at the gathering! On top of this, Sunniva is also in the committee drafting some of SAIHs core documents – the info strategy and political platform – which will be discussed at the annual meeting. 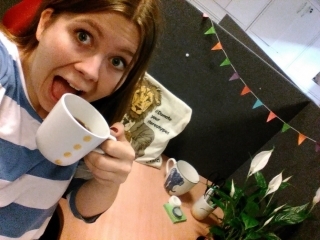 Sunniva is, as you can see, at the office a lot – and is in a constant SAIH brainstorm. She is what you can call an “organisational nerd”, and though she is constantly a bit stressed, that’s how she likes it. She is easily recognised by the fact that she is doing a million things at once and will answer you as fast as humanly possible if you send her an e-mail. Ingrid is vice-president in the local chapter SAIH-Bislet and part of the campaign committee. 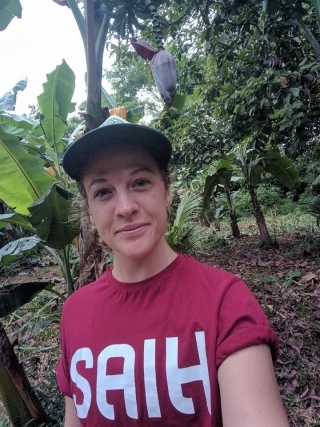 Currently Ingrid is carrying out fieldwork in Nicaragua for her master in multicultural and international education, but she will be back in October and will be with us in spirit during the Fall Gathering. Even though she has not been in Oslo the last months, she has been helping out and written a blog post about one of our partners in Nicaragua. 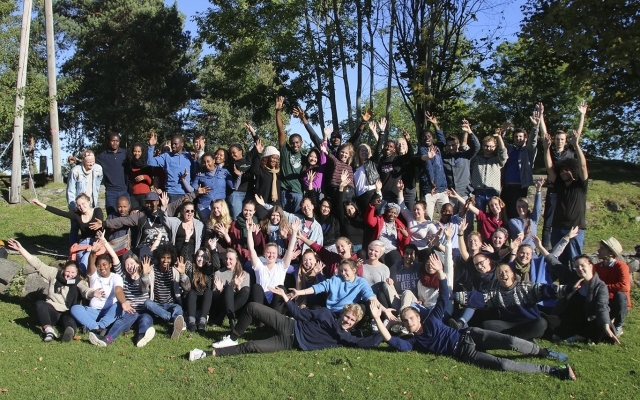 A weekend for all of SAIH is not only a possibility to learn about SAIH and our work. It is also important for building a stronger organization that works towards mutual goals. The member organizations and local chapters are the building blocks on which SAIH is built and throughout the weekend with workshops and discussions, we will not only get to know SAIH even better, but also plan for campaigns that will take place this fall and activities that will be carried out all over Norway. And off course, while doing all of this, also get to know each other better and have some fun. The last days before the Fall Gathering are busy for the information committee. We are putting a final touch upon the program for the weekend, making sure that everyone knows where we are going and finally going shopping for snacks and refreshments that we can enjoy throughout the weekend. We are going to learn, have fun and make new friends. We hope that this is only the start for a lot of the people attending when it comes to being activists and defending the rights of students and academics worldwide. 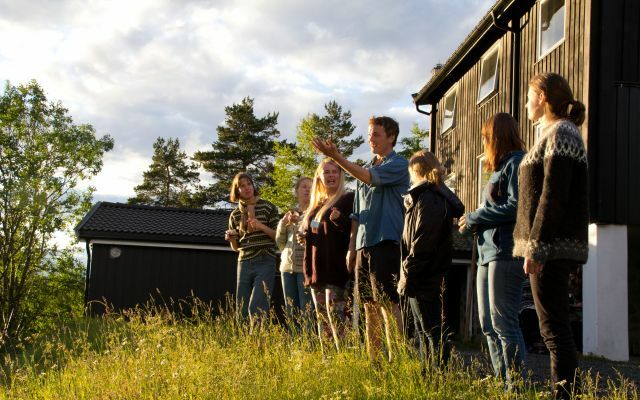 Den 16-19. juni er det igjen duket for SAIH sommercamp. I hjertet av Nordmarka, ved behagelige badevann, inviterer vi til en langhelg med et svært spennende program! Den 25.-28. juni er det duket for SAIHs sommerleir! I hjertet av Nordmarka, ved behagelige badevann, inviterer vi til en langhelg med et svært spennende program!